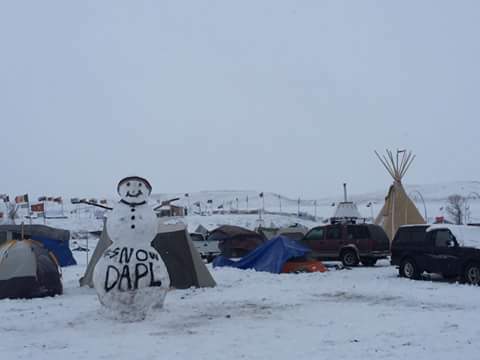 White Wolf : Standing Rock Winter? 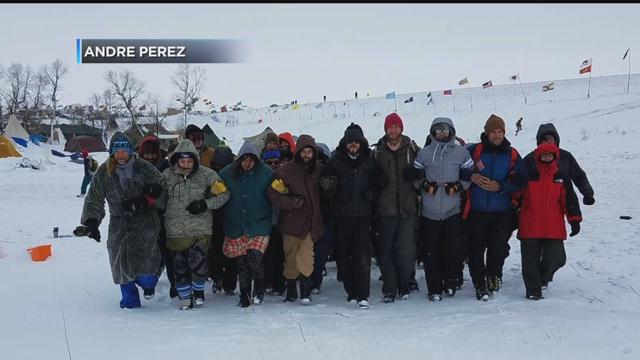 "We've survived through hundreds of years of winters"
Standing Rock Winter? "We've survived through hundreds of years of winters"
Pickup trucks, overflowing with wood, regularly arrive at camp, and within a matter of minutes, protectors pile the logs on the overflowing mound that feeds the campfire. The bark and sawdust are spread atop a muddy spot in the road created by recent rains. In Oceti Sakowin, 18-wheelers carrying massive logs more than 10 feet long and 2 feet in diameter arrive late in the evening. Illuminated by truck headlights, a small backhoe begins unloading the logs. Within minutes, the buzz of chainsaws drowns out the sounds of chanting and beating drums as the protectors waste no time turning the logs into much-needed firewood. Some protectors bring technical skills. Joshua Tree, 42, has helped install solar panels and wind turbines to power a white, dome-like structure that dwarfs everything else here. The dome, which organizers say can hold 380 people, is where most meetings and press events are held. "We've been here for hundreds of years," says Eagle Hawk, a water protector. 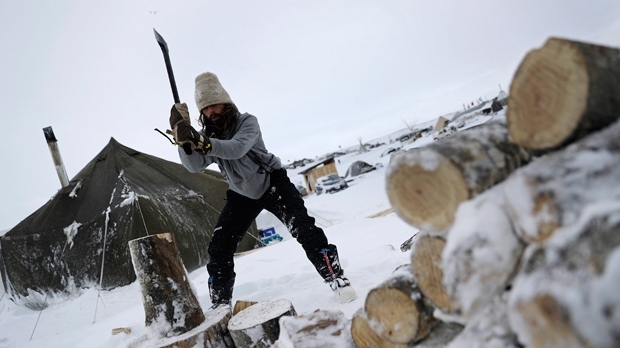 "We've survived through hundreds of years of winters —we're not going anywhere. If officials think we're not prepared for it, they need to think again." "Winter is here ok so what? We are still here, we stay here. 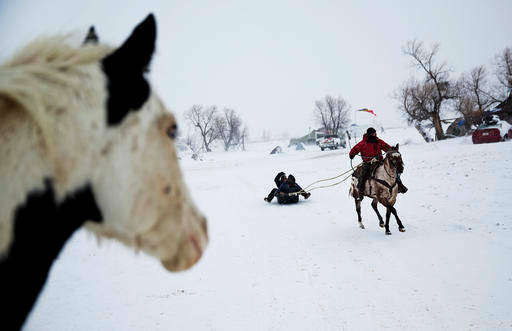 We will sing, pow wow, pray, stay warm, our children will play, we're not going anywhere" laughed a Native American elder. 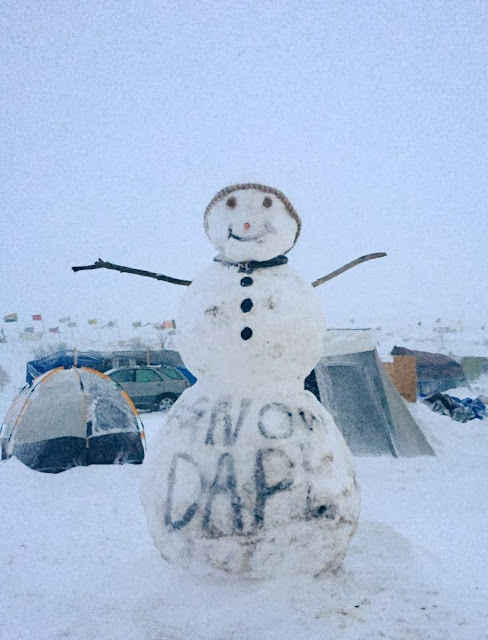 Responses to "Standing Rock Winter? "We've survived through hundreds of years of winters""